At the same time was so amaze with Busan woman who have nice hair. At least theirs look nice and not tangled like mine. I went into the Nature Republic for some face mask purchase. At the same time ask the sales girl to introduce me something for the tangled and dried hair. I told her my seaweed hair are soon turning into dried pollack hair and she laugh at me and said cannot be ...cannot be..this is hair not seaweed! Of course la...I just joking to you la woman....haissshhh!!!! Where is your sense of humor??? Walked out from the shop with this Argan Oil Hair Essence from Nature Republic. I don't know how much they sell here in Malaysia but I gotten mine at KRW18,000 for 60ml. IMA totally love the smells of this oil. Don't know how to describe but pleasant sweet smells unlike that Rose Hip Oil. What IMA know Argan oil is famous for hair! Thats it! Very limited knowledge on this. Then when reached Malaysia and did some research ..it has many benefits too. 1. Skin Moisturiser - helps to hydrate and soften skin because this oil is also high contain of vitamin E and fatty acid. Its absorb easily and not greasy. You can use for face and body like lotion. 2. Hair conditioner - famous for hair because it proven to make hair softer, silkier and shinier. It helps to tame the frizzy hair like mine. 3. Sleek and Shine Styling - since it has ability to tame frizz and give shine, argan oil also commonly used as styling agent. Use it after your blow dry hair. 4. Anti Aging - instead of rosehip oil which is less pleasant smells. Let us use Argan oil which give skin a youthful glow and reduce the visibility of wrinkles. Its anti oxidant effect makes argan oil the ideal anti aging products. Massage few drops into your face and neck before go to bed. 5. Dry Skin conditions - people who suffering dry skin or conditions like eczema which can leave skin raw , flaky and itchy can use argan oil too. It helps prevent dryness and also soothe skin. 6. Acne - since this oil promote healing and soothing and moreover this oil are non greasy. Acne is cause by oily skin. Argan none greasy and helps to balance skin by providing natural moisture. It heal damanged skin cells and reduce inflammation. 7. Foot , Hand and Nail Treatment - try massaging few drops of argan oil into cuticles , hands and feet before go to bed each night. It helps for crack feet and dry nails. 8. Lip moisturiser - rub few drops to dry lip as lip balm and be sure to wipe off any excess. It helps your lips to stay plump, soft and supple. * Argan oil - Since it also contains evening primrose oil, camellia oil, rosehip oil, silk powder and other spices so this Essence helps to Moisture hair, gives more nutrition and soften hair. 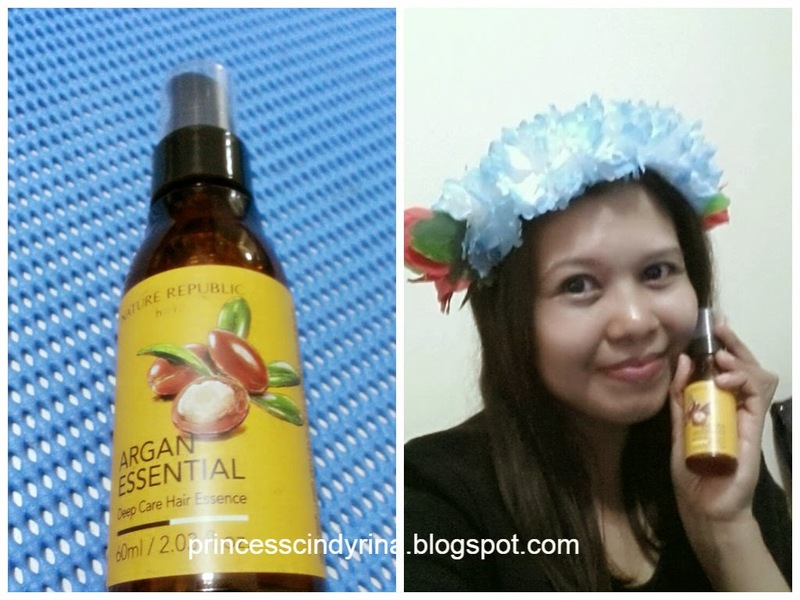 How to use Nature Republic Argan Oil Hair Essence? - Use it after shampoo dried hair. - Take small amount and massage on the dried and tangled hair! See???? IMA so hard working to take photo with props this time???? Chinggu bought IMA this flower for birthday celebration. No celebration this year. So IMA wear it as props for IMA's beauty review. IMA's hair is so much better when posted this entry. Wanna know how IMA's hair get so over dried and tangled???? 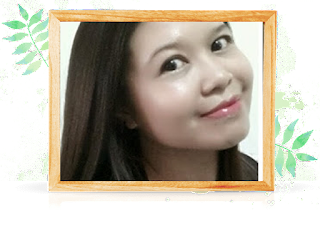 Check out tomorrow entry on where did IMA went during 40th birthday at Busan! This sounds good to me - my hair is always frizzy! I pernah dengar pasal Argan Oil from one of my friend.... Munyak ni pun bagus untuk remove jeragat...Is it true? Ailyn, rosehip oil smells..urgghhh...so beh tahan. But argan oil smell ok. Tried sample size or Argan hair treatment before and then I promised myself to get Argan Oil hair product on my next purchase!